When an icon painter, or rather writer, makes an icon he follows Church Tradition. The icon is a vehicle for truth. In Tradition there can be no depiction of something which has not been seen or recorded. Any attempt to show something that never happened would be a fiction. No one witnessed the Resurrection, and no account of the actual moment exists. What we have is knowledge of the empty tomb and the appearances of Christ afterwards. 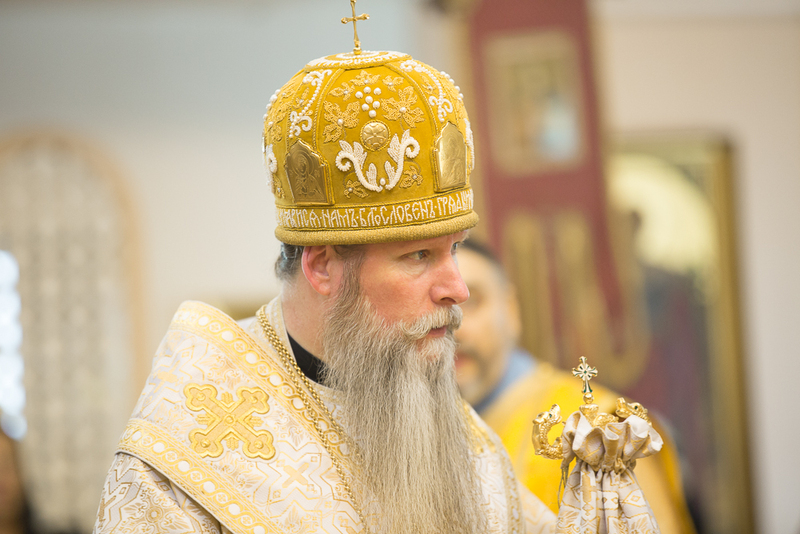 The Orthodox Church has, therefore, not set much store on attempts to depict the Resurrection itself. There are icons of the myrrh bearing women, and of appearances of the risen Christ. The normal depiction of the Anastasis, the Resurrection, is sometimes called the Harrowing of Hell, and shows Christ releasing the dead from Sheol, the place of the dead. His descent there forms part of the Nicene Creed, the symbol of our faith. It gets very little mention in the New Testament, although that does not mean that it did not happen, and there is a reference in the First Letter of St Peter, chapter3 v 19 “He went and made proclamation to the imprisoned spirits”. Some things were so well established that it was not necessary to dwell on them. The New Testament is a collection of writings; each one for a particular time and people. They were not meant as a complete record of the teachings of the Church, rather they were writings which the Church valued as Apostolic. What matters is the teaching of the Church-Holy Tradition- and the New Testament writings were chosen within that Tradition. 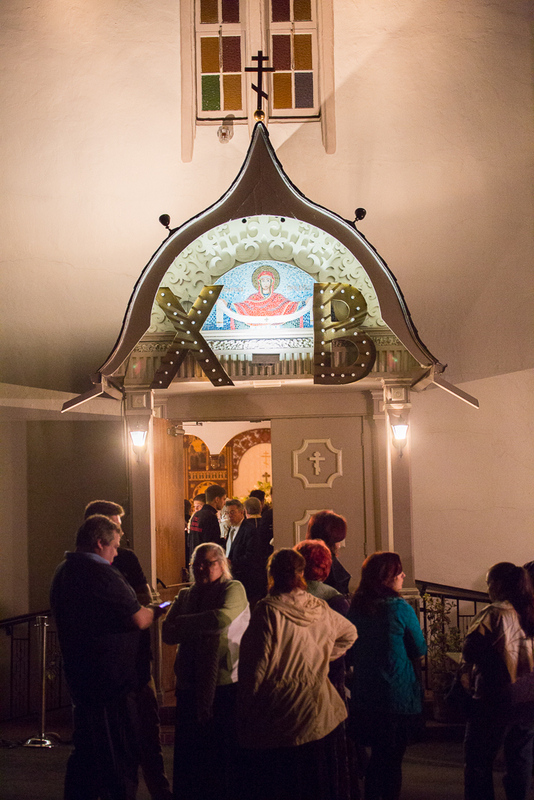 The background of the icon is usually gold, which in icons depicts light, specifically the light of God. Even the place of the dead is illuminated by God’s light. His energies, His uncreated light, fill the utter depths of creation. Job (Chapter 10) includes a description of the place of the dead – “the land of gloom and utter darkness” The Psalmist talked of “that land which is forgotten”. Things changed with Christ! The whole of creation was renewed, and so light fills everything in the icon, except the place of confinement of the devil, but the darkness around him is the darkness of his own choice. The gates of Hell are shattered and no-one is confined there unless they choose to be there themselves. As St John Chrysostom put it [Hades] was abolished! (Pascal Homily). Christ is shown raising Adam and Eve (and so all mankind) from their tombs. Death can no more contain mankind. Around there are usually shown Old Testament figures- David, Solomon and Moses, plus John the Baptist. Below lies the devil, bound. St Dismas (the good thief) is not shown because he was not in that place, he was already in Paradise, a place of blessedness, because he had already accepted the Lordship of Christ. Christ is shown in human form. This is so obvious that we tend to overlook it. Yet we also know that this event occurred when his body still lay in the tomb. 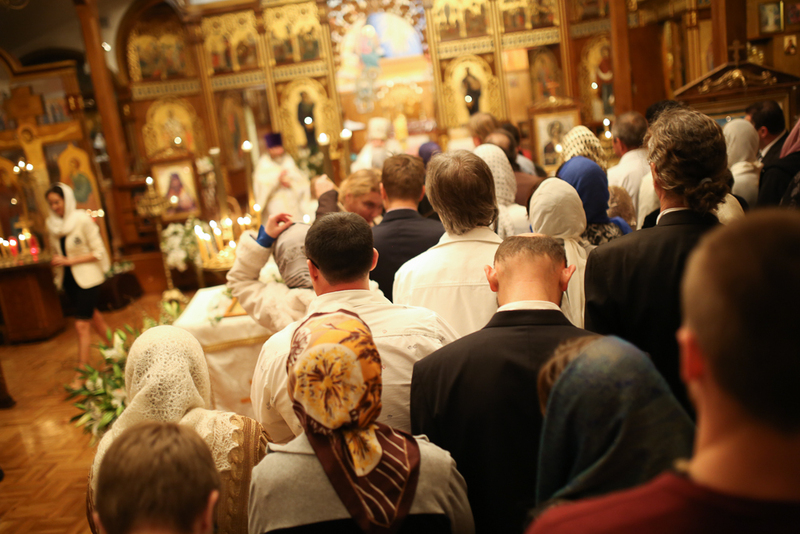 There is a prayer used by the clergy during censing, “In the grave with the body, in Hades with the soul as God, in Paradise with the thief and on the throne with the Father wast Thou O Christ, Thyself unlimited, filling all things”. On one view Christ’s soul is depicted, yet still Christ; in the same way that Moses and the Baptist are identifiably themselves, yet whose bodies remain on earth. Christ experienced death, the parting of soul and body. Another way to look at it is to understand that this happened in God’s time, when all things are now. In that case the risen Christ is shown in the icon. It does not matter. What does matter is Christ experienced all humanity including bodily death and the resurrected Christ makes it possible for us to be with Him in Heaven. Christ rose, and defeated death. In time-as we experience it- the moment will come when these righteous will be reunited with their bodies at the general resurrection. The same will be true of each of us who also faces physical death, unless the Lord returns first. Christ is shown surrounded by glorious light, more than just a halo. Glory surrounds His whole Person, and usually He is highlighted in gold. This is God in human form. This is God descending to the depths to restore humanity to what He planned for us. The Eternal God came down to rescue the fallen. The icon almost shows us the whole of our redemption in one instant. Death could not hold the Author of life. His rising again is more than a re-animation of a body. It is not just biological life. It meant, and means, life in all its fullness; and His life is available to us all. Of course we are free to accept Christ or reject Him. The devil chose one way, and is shown as powerless and in darkness; the righteous chose another. They were released by Christ’s loving act and by their accepting His invitation. So death is defeated. Life truly shines out of the grave and even the dead are surrounded by the glory of God. Accepting the light, the love and life of God, is an invitation and a challenge. Accepting or rejecting new life is our choice. To accept that life means accepting too the Lordship of Christ. Let us sing and rejoice. Let us live the life of Christ. Let us celebrate. Let us exult, for Christ is Risen. 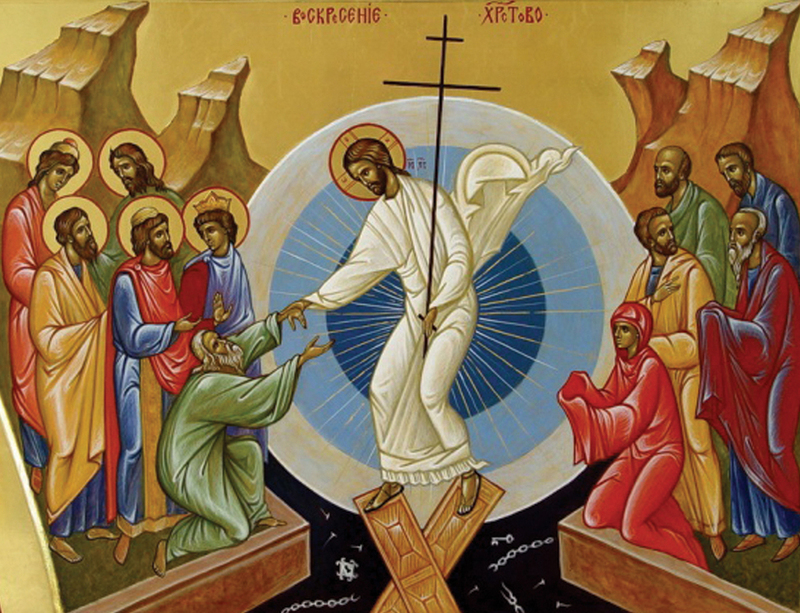 Recently, while working on the Paschal theme for our website, I found myself wondering - what word is it proper to use on the Orthodox website: Pascha or Easter? Easter have just passed, I thought, meaning the Feast that our Roman Catholic brethren celebrate. But our Orthodox Pascha is just coming this weekend. Hmmm, the two words seem to have different meaning... For me, a native Russian, there have always been only one word - 'Пасха'. And translated to Russian the word Easter is more 'католическая Пасха' or 'catholic Pascha' than 'Пасха'. But still it is Pascha. Well, at least for me. So, should I use Pascha or Easter on the website? Surely I went to Google and dug the Web for an answer. Below are couple of links that explain the subject. Since I do not have an English major degree nor am I versed in the Christian history of England, I have no way to judge what opinion is right and what is not. Thus I urge you to read those articles yourself and make your own decision. But I like the second, the one that comes from the Catherine's Pascha website. Basicaly it says that both words are proper and have the same meaning although the word Pascha is closer to the Greek source. And both can be used interchangeably. It IS Pascha not Easter! If I am not mistaken, a real temptation that exists once Great Lent is over is to return to “life as usual,” as if Great Lent is at best a pious interlude during which we act more “religiously” and at worst a period of specific rules that are meant to be more-or-less mechanically observed out of a sense of obligation. This undermines the whole reality of repentance at its core, and drives us back into the dubious practice of the religious compartmentalization of our lives. Great Lent is over – now what?